1 Who is Aldon Smith? 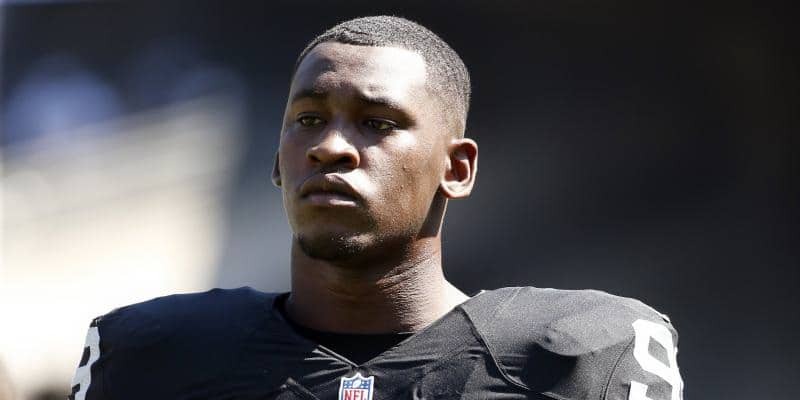 4 How did Aldon Smith Become Famous? Aldon Jacarus Smith is a professional American Football player, best known to have played as an outside linebacker in the National Football League (NFL), for teams such as the San Francisco 49ers as well as the Oakland Raiders. His career was filled with achievements and honors, but he was released and became a free agent because of legal issues stemming from the fact that he was caught in an alleged domestic violence incident. 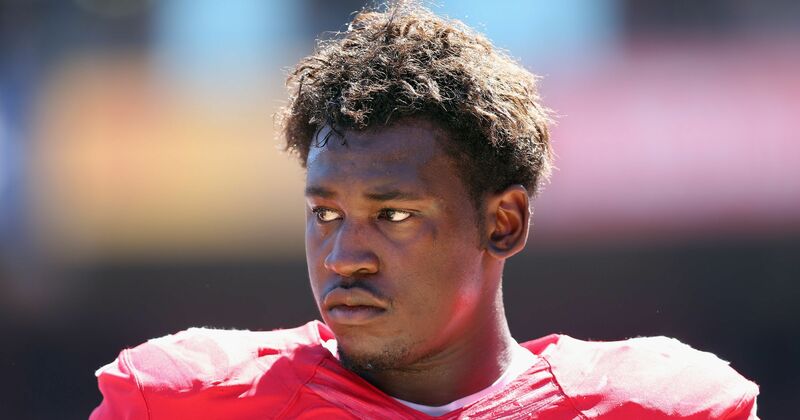 How rich is Aldon Smith? As of early-2018, sources estimate a net worth that is at $3 million, mostly earned through a successful career in professional football. He’s earned several honors as proof of his skill in the sport, but the recent issues with domestic violence has put a halt to his career and any increase to his wealth. Time will tell if he can return to form and start to increase his net worth once more. Aldon has not been a stranger to legal issues, with numerous incidents in the past culminating in his eventual domestic violence case. His first problem occurred in 2012 when he was arrested in Miami Beach, Florida for driving under the influence. A few months later, he was stabbed when he attempted to intervene in a fight during a party at his residence, with an investigation resulting in three charges including illegal possession of an assault weapon, later reduced to misdemeanors. The following year, a vehicle accident led to suspicion of him driving under the influence and possession of marijuana, and he subsequently voluntarily entered a rehabilitation facility, and was put on an indefinite leave of absence from his team. In 2014, Smith was struck again at Los Angeles International Airport, when he became uncooperative with a TSA agent who claimed that he was carrying a bomb, proved inaccurate and charges filed against him were later dropped, but he was then suspended for nine games during the season. The following year, he was arrested for an alleged hit and run, driving under the influence, and vandalism charges, which saw him released by the 49ers. While he had no incidents in 2016, problems surfaced once again in 2017, when he was arrested by San Francisco police suspected of being under the influence, but was released after questioning. Later in the year, he pleaded No Contest to a hit and run incident from two years prior, in exchange for the DUI charges to be dropped. He was sentenced to 20 days in jail and attended a treatment facility. He also underwent management classes, and was later banned from establishments where alcohol was the primary commodity. His most recent incident came in 2018 when his wife called the police, stating that Aldon consumed multiple bottles of tequila before biting her on her wrists – Aldon fled home through a fifth story window, but after an investigated by the San Francisco police, Aldon voluntarily went to a rehabilitation facility. He was released by the Oakland Raiders as a result of the incident and he was charged with willful infliction of corporal injury, assault, false imprisonment and vandalism which were all misdemeanors. He pleaded not guilty to assault charges but is set to return to court once more as the case is not finished. How did Aldon Smith Become Famous? Aldon began playing football at Raytown High School and performed well as a tight end leading him to be listed as a three-star recruit by Rivals.com. He was the fifth overall prospect in Missouri, and would then choose to attend the University of Missouri. He played for the Missouri Tigers football team, and was named as one of the Big 12 Defensive Freshman of the Year. During his second year, he continued to play well, and then announced that he would enter the 2011 NFL Draft, foregoing his final two years of eligibility for college football. Smith was drafted by the San Francisco 49ers as the seventh overall pick and would start to prove his worth as a top defender. He had consistently strong results, and soon earned the NFL Rookie of the Month honor. He surpassed the 49ers record for most sacks by a rookie, and was a sack shy of tying all-time rookie sack record held by Jevon Kearse. He was named as the Defensive Rookie of the Year and was second in the Associated Press NFL Defensive Rookie of the Year Award. He played for the 49ers until 2015, when he was released by the team following his third DUI. He then signed a contract with the Raiders and played briefly before he was hit with a one year suspension due to a hit-and-run incident. He was released in 2018 following the domestic violence incident.